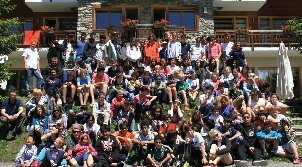 Les Elfes International offers holiday camps for boys and girls aged 7 – 18 in Verbier, Switzerland all year round. Choose from International Spring, Summer & Winter Camps – Les Elfes is the only camp welcoming children and teenagers from December to the end of August. Since 1987, Les Elfes International has provided children and teenagers from around the world with holidays that combine the discovery and the practice of new exciting sports with learning and perfecting languages in French, Spanish, German, and English. Verbier is situated in the heart of the Swiss Alps on a sunny plateau guaranteeing an exceptionally sunny climate in both summer and winter. 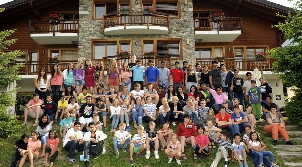 Young people who attend the international holiday camps in Switzerland are accommodated in two purpose built wood and stone chalets that follow the Swiss Alpine tradition and offer charm and comfort to guests. 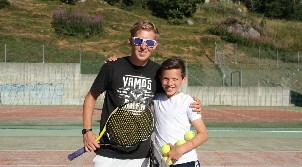 International summer holidays camps are available from the beginning of June until the end of August, with a choice of several 2-4 week long sessions. Students will be in a fully international environment attending language immersion classes in the mornings and participating in group activities & sports during the afternoons. Excursions in and around Switzerland are also on the agenda. 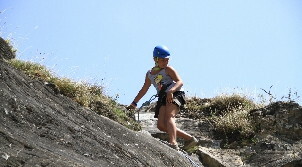 Young people can take advantage of over 30 exciting outdoor activities, such as rock climbing, mountain biking, ropes courses, wakeboarding, tubing, paragliding, basketball, hiking, swimming, ice skating, tennis, golf, horseback riding and many more. For Summer Camp 2015, the camp is also offering new educational courses on top of the regular ones. These include exciting art, theatre and cooking classes for campers between 7 and 11 years old; fun-filled leadership training sessions where those aged 12 -14 can gain invaluable presentation skills and group dynamics through role plays and games; and motivational career guidance where teens from 15 to 17 years old can explore their potential and horn their individual talents. Winter camps take place from the beginning of December to the end of April. 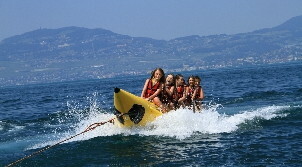 Les Elfes offers several sessions, usually from 1 to 2 weeks long for boys and girls aged 8 to 18 years and from all over the world. 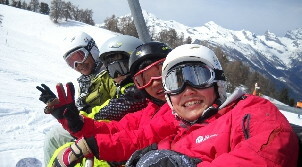 Participants can combine snowsports (skiing and snowboarding) with optional language lessons and exciting after-ski activities and excursions. 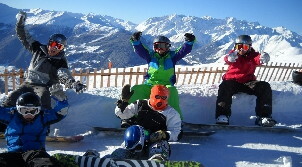 Skiing and snowboarding are taught by qualified instructors. In all camps, students can choose between different arts clubs (dance, acting, photography, music video and more). Each camper receives at the end of their stay a certificate, confirming their own personal achievements made throughout their trip, whether during winter or during summer camp.